Welcome to Protech Engineering & Controls Private Limited Manufacturer of Electrical Power & Electronic Products The company was established in 1995. Our advanced production technology & Team of hardworking professionals have helped us to earn clients across the globe. Transparent deals, Customized solutions & Time bound deliveries make us stand apart from also-rans. Our range of products finds application in Earth Leakage, Voltage and Frequency Relays. We manufacture and export a wide range of Earth Leakage Relays which comprise N22, N45 & N96 Earth Leakage Relays. 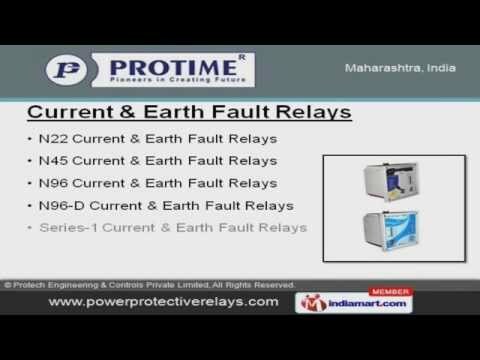 We offer Current & Earth Fault Relays that are widely catered to various power control and time control applications. Our Voltage and Frequency Relays are available in various models such as N22, N45 & N96. We are engaged in offering a precision engineered range of N96 -IDMT/1E Single & 3E Element IDMT Relays. We are specialized in offering Diesel Engine Controllers & Protections.